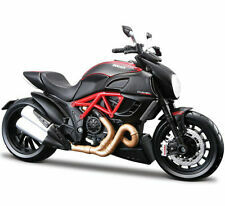 Maisto 31196 1:12 DUCATI Diavel Carbon Motorcycle Diecast Bike Model Toy as Gift. 1/22 MV AGUSTA 4cil. 500cc World Champion rider M. Hailwood Motorbike Model. MV AGUSTA 4cil. 500cc World Champion rider M. Hailwood 1/22 Scale Italeri Model. Motorcycle model x1. Height:about 3-4cm. From a collection! Previously displayed and has a little dust and mark on top of rear wheel cover. See pictures! Sold as is. Does not include original box. This is a new in box and never removed from box die-cast motorcycle toy. It is of a Ducati Testastretta 998. It is a 1:6 scale toy and is red in color. It is very detailed. It was made by New Ray Toys in 2002. Miniature Collections 1:18 TRIUMPH Thunderbird Motor Cycle Diecast Model MAISTO. 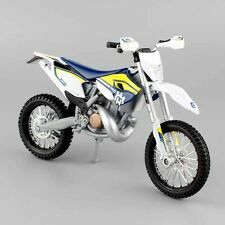 1:12 KAWASAKI KX 450F DIRT BIKE MINIATURE REPLICA. 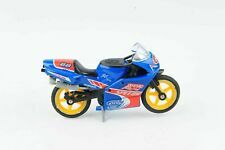 DIECAST TOYS MAISTO MOTORCYCLE MODELS. L W H: 18 7 10.5cm (7.1 2.8 4.2") approx. KTM RED BULL MOTO GP 1/12°. MOTO DE LA BANDE DESSINEE JOE BAR TEAM. NOUVELLE SERIE DES CELEBRES MOTARDS SUR LES MOTOS CULTES DES ANNEES 1950 A 1980. MOTOR CITY CLASSIC'S MINI GARAGE DIORAMA FOR 1/18 CARS OR 1/10 BIKES NIB**SALE!! Mini"10 Speed" etal Model Toy Bike with rubber wheels and kickstand. GENUINE V-TWIN. TRES BON ETAT. HARLEY DAVIDSON. ENVOI TRES SOIGNE. VENDEZ SANS SOUCI / CHRYSO2009. EXPERTISE, SUCCESSION. 2 EXPERTS A VOTRE SERVICE. 150 m² d'exposition. HONDA CB 750 – 1968. ORANGE COUNTY CHOPPERS. 1:6 Scale IRON LEGENDS Replica. Diecast Motorcycle. This diecast is being sold as.